We're a Mother and Daughter team living in Tasmania, Australia! We used to live in Melbourne and Brisbane before moving to Hobart in 1998. 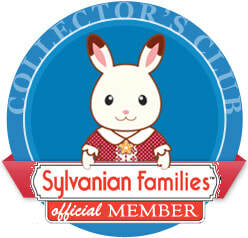 We had originally started collecting Sylvanian Families back when I was just 3-4yrs old. They were in a little toy shop not far from home. They had a wonderful display of the original houses and the famous green furniture sets. My Mum and Grandmother both got me my first family - The Evergreen Bears (and 1 Timbertop Sister). I've kept them all this time, safe and sound, so they didn't get destroyed. I had a cute little Shoe House (like the story of the Lady Who Lived in a Shoe) that I would use to house all the furniture. 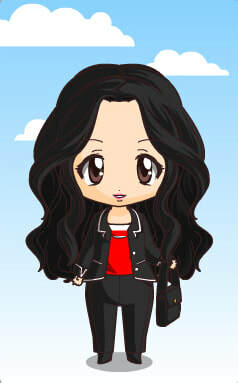 I'd carry the little grey bear girl around with me everywhere! She would come out of the Boot house with us to go shopping with us in the car, shops etc. And then have a nap like I did afterwards. I didn't take it to school because other kids would try and play with it, which I didn't like. Plus teachers didn't approve of bring toys to school. She would go home with Mum until later on in the day to meet me again when she picked me up. As the years went on, I used the same furniture in new houses I got, as I've always loved little things like that. And of course - collecting! I had put them away around early teenage-years, and forgotten about them. When one day a few years ago, somehow we stumbled upon them again, and had to find out what the name of the Brand was, so we see what had happened to them. We found the name Sylvanian Families, along with the American Calico Critters, and we were both so happy they still existed! There was so many more sets and families since we last bought/saw them! And of course homes! ​Hiya! 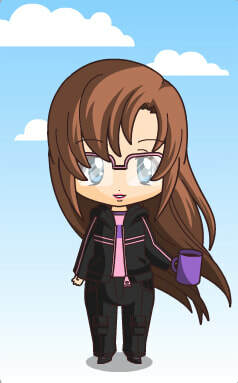 I'm Kirstie :3 A girl in her early 30's who lives in Tasmania, Australia. I've been Married since 2007 (I was 20 omg) to J, a patient man who puts up with me lol. He works in Business Intelligence. He originally comes from California, USA. I also love video games, with my main one being World of Warcraft. I've been playing that since Feb 2005. Ragnarok Online holds a special place in my heart aswell. Of course 3DS/PS4/Wii U too. I've always loved the Elder Scrolls series too since I started with Morrowind. I also enjoy wearing Japanese Street Fashion now and then with my friends. While I was growing up, I loved to watch anime, and still do! Japanese culture has a lot of cute things, which I enjoy a lot! Sylvanians, Sailormoon, Pokemon, Tamagotchi's, Cosplay, even Nintendo! I've travelled to the UK when I was younger before Kirstie was born (England, Scotland etc), and then to the rest of Europe afterwards. Also stopped at Hong Kong and Singapore on the way.